Getting your driver’s license is a liberating feeling and so exciting, since driving is a very useful skill to have. Driving is also a privilege, and who knows that better than the Saudi women who are only just obtaining their rights to drive. Therefore, it is highly important to be a responsible and considerate driver. What you do in the driver’s seat will not only affect you, but others on the road too – so we’ve put together 10 top driving tips for newbies. Or, just a reminder for those of you who are driving pros. 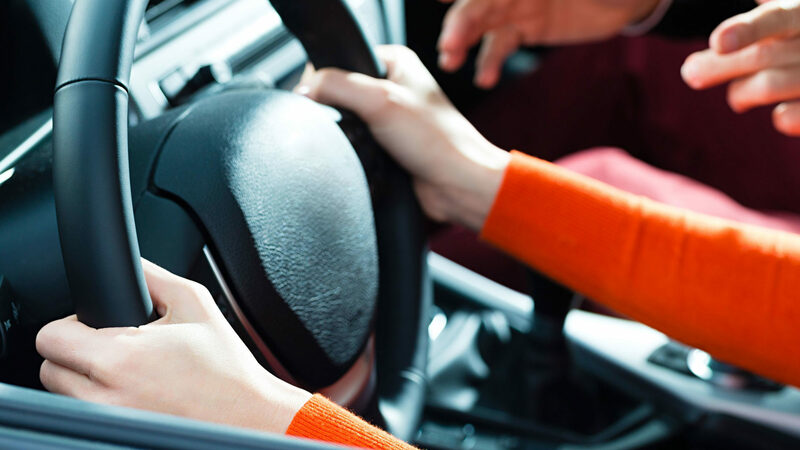 Driving a new car is exciting, but it is vital to know more about your vehicle. It’s important to know what every switch and button on your dashboard does and how to use all of the features. Most driving schools won’t teach you how to check your oil or refill the water for your screen wipers, but you never know when you might need to check! To gain absolute comfort and control whilst driving, it is important to adjust your seat according to your height. The seat must allow you to sit straight with your back being supported by it to prevent back injuries. The height of it must also allow for you to be able to see all around comfortably. You already know how important this is and you may want to avoid fines for being caught without wearing your seatbelt. If you have passengers in your car – do ensure they are also wearing their seat belts before setting off! A seatbelt could also save your life in the event of an accident! Speed limits are there for a reason and must be obeyed in order to avoid fatal accidents. Make sure you wear your seatbelt and keep at a safe distance from drivers around you. Once you’re in the driver’s seat, you must adjust your mirrors so that you can see what is behind you! They won’t show you what is outside of your peripheral vision but it is highly important to be alert and focused. Listening to music, or chatting with your friends might make long drives seem less boring, however, it is highly important to remain alert and focused on your surroundings and the road ahead. Using your mobile phone whilst driving is illegal so if you need to make a call, you should make sure to park up somewhere safe first. When turning, some well learned drivers don’t always have the courtesy of using their indicators! This is also illegal and very important. Be courteous to your fellow drivers and use your indicator lights to signal that you will be turning! Driving in terrible weather can be an absolute nightmare, and ensure your safety and of those around you, precautions must be taken while driving. If you are driving in strong rain or snow, drive at a reduced speed limit and maintain a favorable distance from cars around you. It’s better to avoid driving in extreme weather conditions, but you can never be too careful! Did you learn about “Defense Driving” in your driving lessons? The roads are riddled with aggressive drivers and they are the ones who are more likely to meet with an accident. A driver who practices safe defensive driving remains calm in traffic, and doesn’t abruptly switch lanes. It is important to be a patient driver, and try to predict the maneuver of a fellow driver, even if it is your right of way, in order to avoid any collisions with aggressive drivers. Pay Attention To Road Signs! There are road signs for everything – stopping, slowing, schools and roadworks. These must be noted when driving, especially when driving past a school building in case there are children trying to cross the street, or where there are roadworks up ahead! Its best to be vigilant to avoid any dangerous situations.